Get a bigger tax return now and pay less tax later. Sound like a bargain? 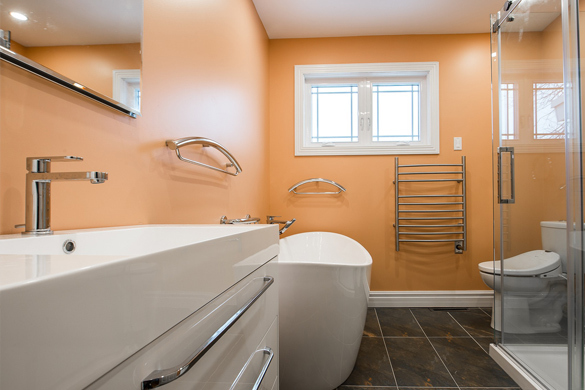 Under certain circumstances, a portion of home improvements may be deducted from your yearly taxes. If that doesn’t catch your attention, the money you can save when it’s time to sell your home will. homeandgardeningguide.com gathered information on how home improvements for a home-based business, as medical expenses, and for the sale of your home can help you maximize your current tax season and help you save money when you sell your home. Here’s the spoiler. If your home is used solely as your personal residence, you are not allowed to deduct the cost of home improvements. In this scenario, home improvement costs are nondeductible personal expenses. However, the property tax you pay is deductible. This is relevant because when you make home improvements that increase your property’s value, your property taxes will generally increase in tandem. 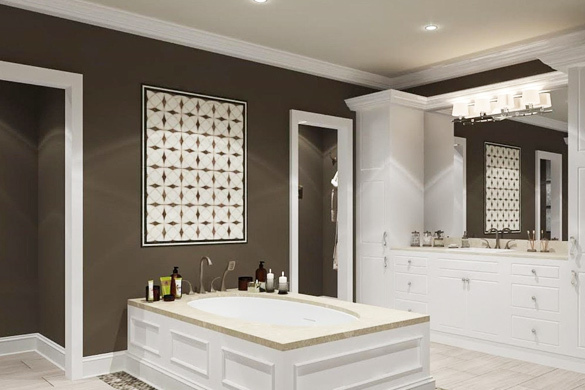 Don’t be discouraged though, when the time comes to sell your home, the cost of your home improvements are added to the tax basis of the home, reducing the amount of taxes you must pay when selling your home at a profit (we’ll address this in more detail later in the article). For now, let’s discuss how to benefit from your home improvements in the current tax season. 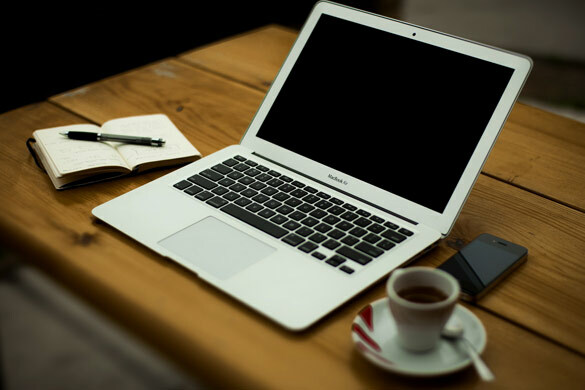 If you operate a business from your home, the improvements you make that benefit the entire home can be partially deducted from your taxes in the year the improvements were made. If your business occupies 25% of your home’s square footage and that space is only used for business purposes, you can deduct 25% of the home improvement costs when those costs directly impact the space allocated for your business. So, if you spent $4,000 to upgrade your home’s heating and air conditioning last year, 25% of that or $1,000 may be used as a deduction on last year’s taxes. The remaining $3,000 may qualify to be applied to the tax basis of your home when you sell it. 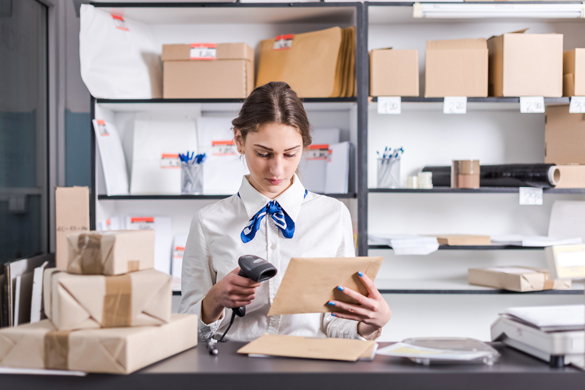 Upgrades made exclusively to the space used for business purposes, e.g., the installation of a shelving unit or floor replacement, can have the full value deducted from that year’s taxes. If you have been diagnosed with a medical condition or have a disability that requires you to make modifications to your home, these expenses can be written off as medical expenses. Note that if the improvements add to the value of the property, the cost of the improvement is reduced by the increase in the value of your property. The difference is considered a medical expense. And if the value of your property does not increase from the improvement or modification, the entire cost can be calculated as a medical expense. The ultimate home improvement may be selling your current home and buying a better one! 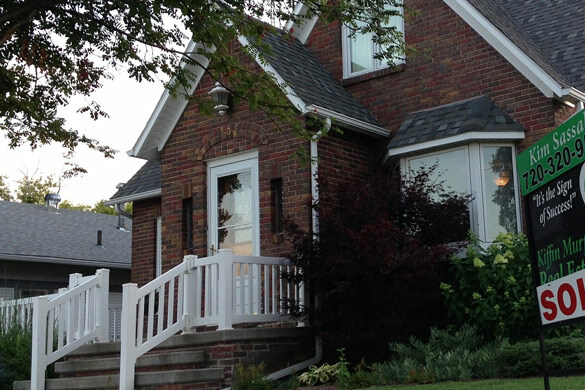 When You Sell Your Home – The “tax basis” is the term used for the profit you make. For tax purposes, home improvements made to the house – while you owned it – reduce the IRS calculated profit you have to claim in the sale of the home. 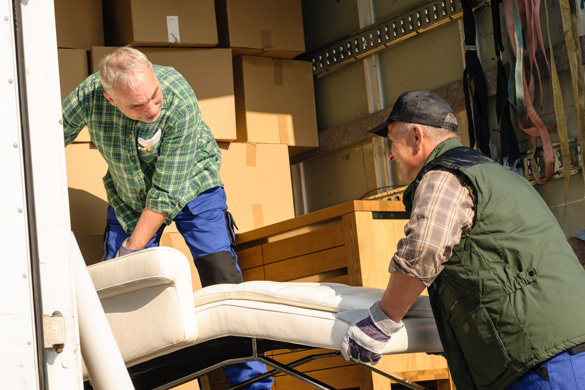 Note that your moving dates should reasonably coincide with your assignment start date. Simply stated, any expense you would not normally have (if it weren’t for the move) may be an eligible deduction. By making certain home improvements, you can increase your current tax refund or benefit from a lower tax basis when you sell your home. 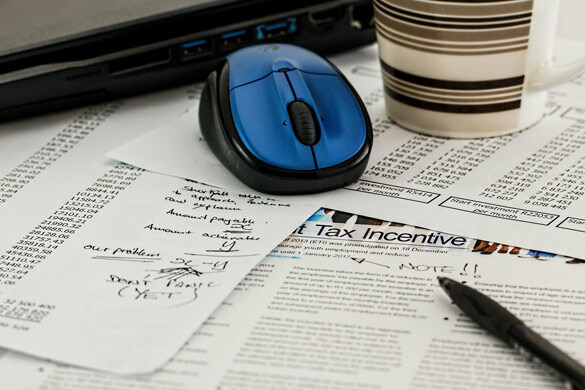 In this article, you discovered how your home-based business, medical expenses, and selling your home can increase your tax return or decrease taxes owed. The government offers tax breaks and deductions as incentives. If you do not take advantage of them, you are losing money and passing up exceptional opportunities. As federal tax codes and regulations may change from year to year, we at Home & Gardening Guide strongly recommend consulting a tax specialist before attempting to make any deductions in reference to the above stated material. Visit http://www.homeandgardeningguide.com/improvement/finances/ for more home finance articles, resources, and tips. Without prepping your garden properly in the winter, it can struggle to thrive in the spring. If you could guarantee a beautiful spring garden with some simple preparation steps, would you do it? The nutrients and balance of your garden soil are not perpetual. A healthy garden depends on your involvement and preparation for the coming growing season. homeandgardeningguide.com gathered information and professional tips to help you prepare your garden soil for spring planting by knowing what you will plant, what soil type you have, how to enrich it, and when to till it. You will also find answers to some frequently asked questions. There are several aspects of your garden’s soil which require attention before planting. The following will help in soil preparation for your spring planting. Know What You Will Plant – Before doing anything, figure out what kind of a garden you are going to plant. Some plant species require different nutrients, soil types, and pH levels. While the majority of plants will do well with a pH level between 5.5 and 7, there are many species which have adapted to thrive outside these levels. For a more acidic soil, you can add compost, peat moss, sulfur or iron sulfate. 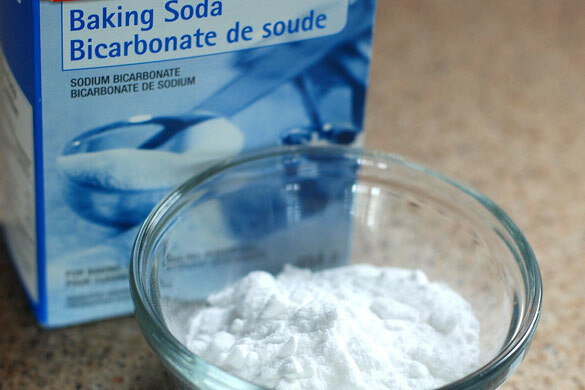 For a more alkaline soil, lime or baking soda are recommended. Plants like strawberries, blueberries, and azaleas will flourish in more acidic soil, while squash, spinach, radishes, and beets prefer a more neutral to alkaline soil. 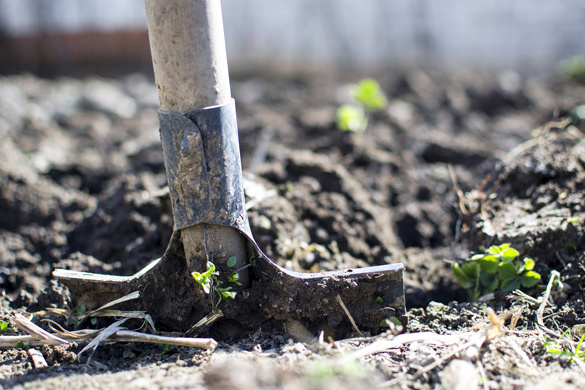 Know the Type of Soil in Your Garden – There’s more to it than dirt. 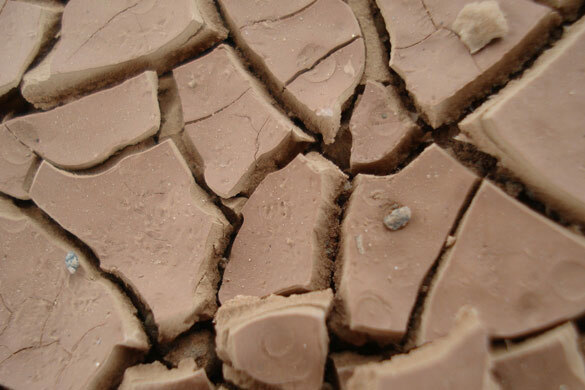 Soils can be clay, sandy, rocky, or shallow. For every type of soil, there are plant species that have adapted to them. • Shallow soil is highly subject to erosion and nutrient leaching. Most (garden variety) plant species require well-drained, moist, nutrient-rich, and slightly acidic soil. You can add up to 4in of any of the above materials to loosen tight clay or help sandy soil retain water while adding nutrients to the soil and making it easier to dig. 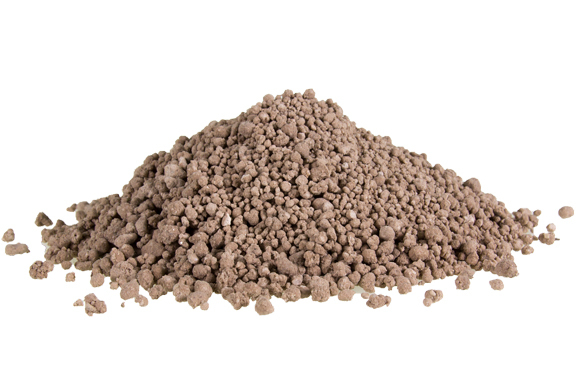 For heavy clay soil, adding gypsum (4 pounds per 100 square feet) will provide some nutrients while loosening the soil, and making it more workable. Tilling Garden Soil – Tilling the soil is generally not recommended. However, there are times when it may be necessary. See the following to discover whether it is needed or not. • Incorporating organic material into a nutrient deficient garden bed. • Established and healthy garden beds. • Adjusting soil pH levels. • Tilling creates bare loose topsoil which is highly vulnerable to erosion and leaching (nutrient loss). • It compromises soil structure and buries the microorganisms that flourish in the top 4 to 5 inches of the soil. • Repeated tilling creates a compacted layer of soil at the depth the soil is tilled at. This soil compaction stops water and roots from penetrating further into the soil. • Tilling moves dormant weed seeds closer to the surface where they are able to germinate. Over time, your garden soil will be able to sustain itself to the point that fertilizers, organic material, and pH balancing agents will only need to be applied to the surface. In the long run, tilling will end up doing more damage than good to your soil. Question: When should I prepare my garden soil? Answer: Late fall or late winter. If you choose late winter, wait until there is no snow cover and the ground is not frozen. Question: What can I plant in early spring? Answer: As soon as the soil can be worked, radish, kale, broccoli, snow peas, and lettuce can be planted in early spring. Question: Which flowers bloom first in spring? Answer: Bulbs. You can plant bulbs when preparing your soil, and by early spring, they will break through the surface, and bloom fairly quickly. 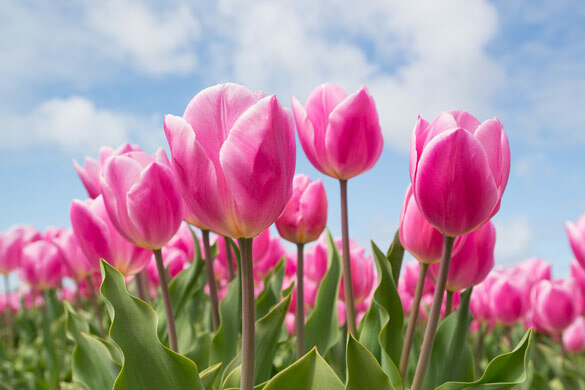 Daffodils, tulips, crocus, and hyacinth are among the most popular bulbs to plant. 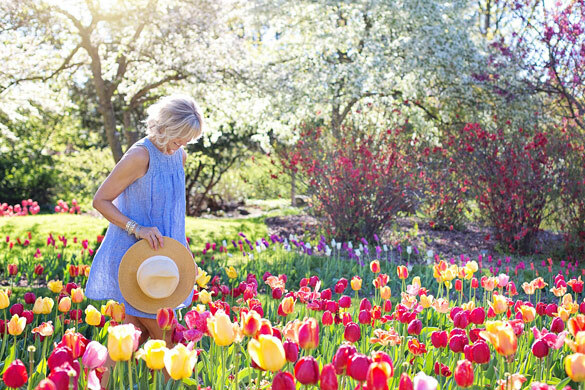 Question: When can I start planting my spring garden? Answer: Late March and early April. However, for plants that are intolerant to frost, mid-April is the best time to get them in the garden. With some simple preparation, you can transform your garden into a spectacular show of color. And it all starts in the winter. 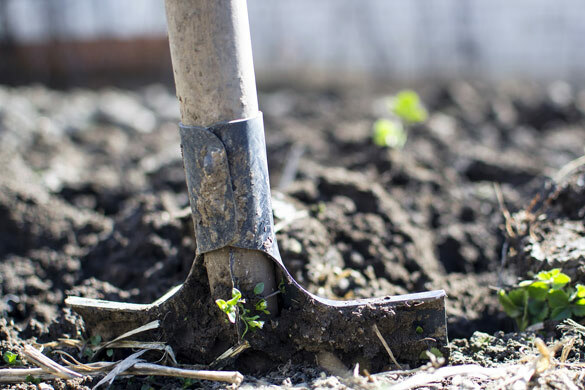 In this article, you discovered how to prepare your garden by knowing what you will plant, what soil type you have, how to enrich it and when to till it. You also uncovered answers to some frequently asked questions. Without your help, your garden soil may not have the necessary nutrients for healthy growth or blooming, which may lead to stunting, wilting, and the death of your plants. Avoid this by keeping your soil in prime condition by preparing it for spring planting. Visit http://www.homeandgardeningguide.com/gardening-landscaping/maintenance/ for more garden maintenance articles, resources, DIY and how-to tips. Evergreen shrubs and hedges keep your yard looking alive and vibrant all year long. With a bit of planning, you’ll have a fantastic landscape, and your neighbors will be green with envy. 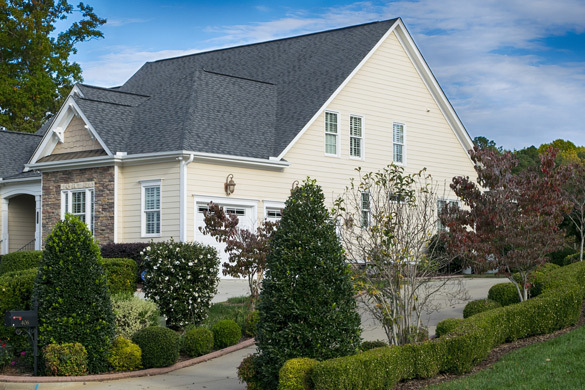 Planting evergreen shrubs in your yard or along the property line can give your home better curb appeal, potentially raising its overall market value. The visual and financial payoff these shrubs can provide does indeed justify planting them. The gardening and landscaping team compiled the following information and tips to guide you through the process of planting evergreen shrubs around your home and yard. What Is the Best Time to Plant Shrubs? According to 72tree.com, for optimal root development, fall is the best time to plant shrubs. While the trunk, branches, stems, and foliage on evergreens slow down for the winter, the roots are silently growing below ground. Planting in the fall allows the roots to use stored carbohydrates from the previous growing season for their growth. Naturally, as warmer months approach, a better-established root system is more capable of absorbing sufficient water and nutrients to support the shrub’s growing season. Planting container-grown or balled-and-burlapped shrubs in the landscape industry happens year-round. Often, after a spring planting, there are not enough roots to supply and satisfy the demand of new growth, wilting is a common symptom (stressing the shrub) until the roots can catch up. For regions that experience long and cold winters with excessive winds, avoid fall planting. In these areas, planting in early spring (after the ground thaws) will spare the plant from winter burn and other potentially fatal stressors. 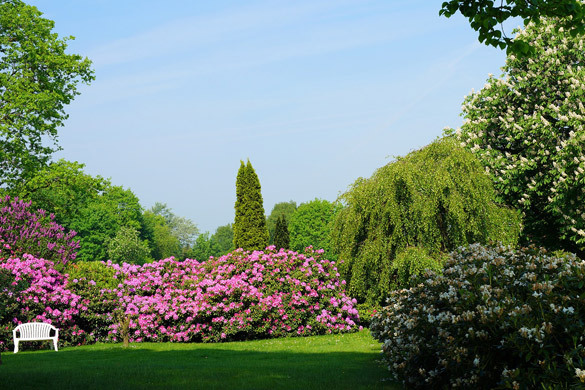 Choosing the Location – There are many reasons to plant shrubs or hedges. Whether it’s to create a division along property lines, to accent sloping features in your yard, or to serve as a windbreak for your trees or home, choose your planting location wisely. Once you’ve answered these questions, it’s time to decide on what is going there. Deciding on the Species – If you haven’t already chosen the species of evergreen shrub, here are a few pointers to keep you from making a bad judgment call. Refer back to the hardiness zone map and select a species that will thrive in your particular zone. Know the plant’s mature size (how big will it get). Choose a species that will accomplish the goal you are planting it for. Familiarize yourself with the needs of the species, e.g., water, fertilizer, pruning, etc. 1 – Is this an invasive species? 2 – Are there any pest/insect issues with this species? 3 – Does my selected location meet the growing needs of the species? 4 – What is the average lifespan of the species? 5 – Is this a blooming species and when will it bloom? Best Soil for Planting Shrubs – Needled evergreens like pines, spruce, and fir tolerate a slightly acidic soil pH ranging from 5.5 to 6.0, whereas broadleaved evergreens and acid-tolerant plants such as rhododendrons, azaleas, mountain laurel, heath, and blueberry prefer a pH ranging from 4.5 to 6.0. To Raise the Soil’s pH Level – Use compounds containing powdered limestone or lime. You will find lime in pulverized, pellets, granules, and hydrated types. Each type will raise the pH level at a different pace. 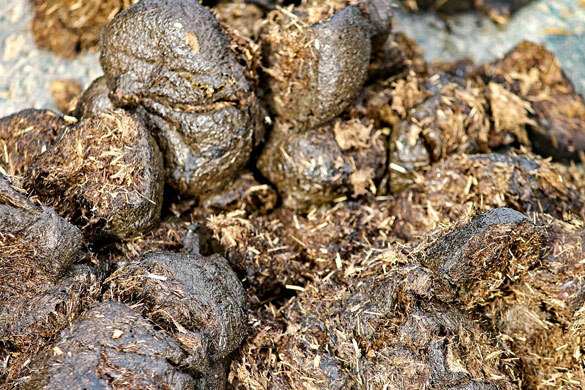 To Lower the Soil’s pH Level – The addition of sulfur, pine needles, compost or composted manure, will work to reduce the pH level slowly. For more immediate results, consider the addition of aluminum sulfate. Fertilizer – It is not recommended to fertilize newly planted evergreens until their second growing season. The first year focuses on root growth and establishment, fertilizing will encourage growth top-side which the roots may not be able to keep up with. Read here for more info on fertilizing your evergreens. Depth – Measure the root ball from just below the root flare (where the first roots grow from the trunk) to the bottom of the root ball. That measurement is how deep you will dig your hole. The bottom of the hole should be undisturbed land to avoid settling. A common mistake when planting shrubs is to plant them too deep or too shallow. Either scenario will hinder the shrubs ability to reach maturity. Diameter – The diameter of the hole should be 3 to 5 times that of the root ball. In compacted or clay soil, the hole should be dug 6 to 7 times the diameter of the root ball to provide optimum root development and growth. 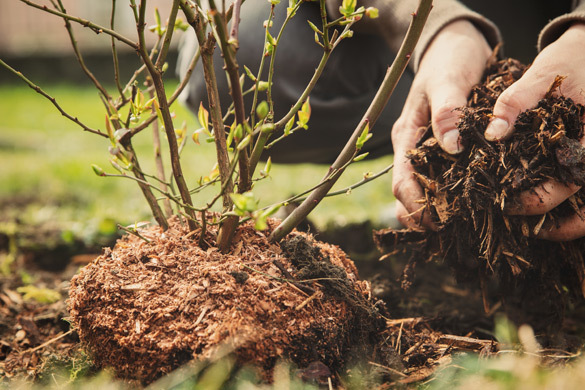 Planting Your Evergreen Shrub – Now that you have the right size hole and pH adjusted backfill (the soil dug from the hole), it’s time to plant. 1. Remove the root ball from the container or burlap and trim any circling roots. 2. Keeping the root ball intact, place it in the hole and make sure that the root flare is just above ground level (for compacted or clay soil environments, the top of the root ball should remain about 1 inch above ground level). 3. Evenly distribute and gently pack the backfill around the root ball, removing any clumps or large stones. 4. Fill the hole up to the top of the root ball without burying the root flare. For shrubs to establish themselves in a new location, they need water. Immediately after planting, water the entire area that was dug and backfilled, as well as a deep watering (2 to 3 gallons per inch of trunk diameter) for the root ball. After the initial watering, water your newly planted shrubs or hedges to keep the soil moist – not soaked. 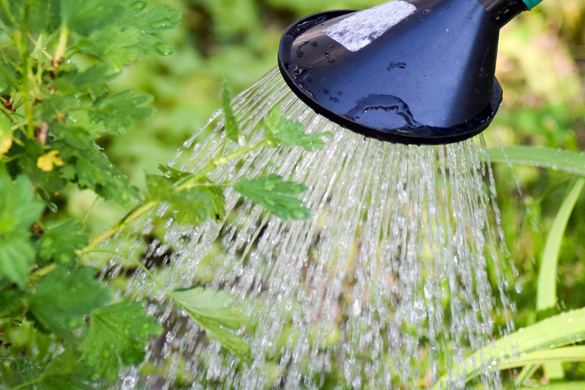 Continue to water in this manner until winter time, providing one last deep watering before the ground freezes or temperatures reach constant freezing points (32 degrees Fahrenheit ). It is essential to understand that intermittent rainfall may not provide enough moisture for root development, especially for well-drained soil. Water as needed. 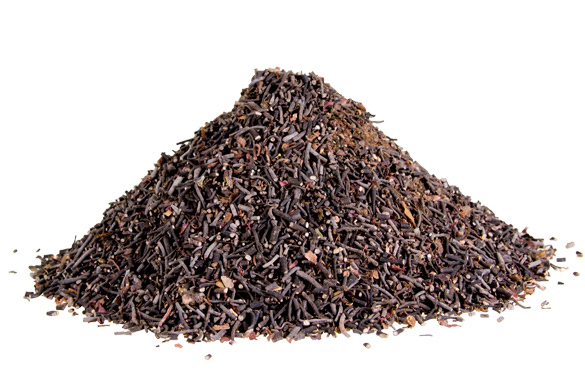 Mulching provides two types of protection for a growing root system. First, mulch helps the soil retain moisture. Second, as winter sets in, mulch helps the soil retain warmth. Both aspects serve to create an optimal growth environment for the shrub’s roots. After planting and watering, apply a 3-inch layer of organic mulch to the planting area. Keep mulch 3 inches away from the trunk and root flare to avoid root rot and decay. A: When determining which shrubs or hedges to plant, knowing the size at maturity will give you the measurements for spacing between them. Q: How Do You Prune an evergreen Shrub? A: After the first growing season, remove diseased, dead, infested, or branches that rub together. Since pruning encourages growth, do not prune after mid-summer, as the new plant material won’t have time to harden before winter. A: Yes. Shrubs are very effective at diverting wind. Often, they are used alongside a home to deflect winter wind, or along landscapes to minimize prevailing winds on trees. Shrubs are also very effective at protecting gardens. Shrubs have become the go-to feature for adding detail and beauty to otherwise bland landscapes and yards. When done right, the addition of shrubs and hedges can increase your home’s curb appeal, potentially raising the value of your home. Following the above guidelines and tips will help you make informed decisions and successfully plant evergreen shrubs and hedges. Remember to choose the location and species that will have the best chance of reaching maturity and get them planted by mid-fall. The benefits of these shrubs cannot be overstated. Besides adding diversity to the surrounding ecosystem, shrubs divert wind, protect other plants, and when they flower, will attract both insects and animal life beneficial to the surroundings. Visit www.homeandgardeningguide.com/gardening-landscaping/shrubs/ for more gardening and planting articles, resources, DIY and how-to tips. Windows in a home don’t last forever. 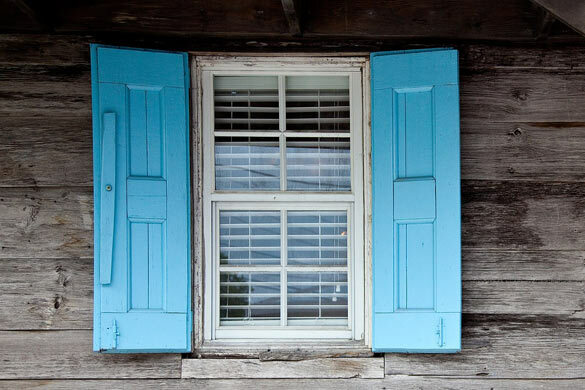 Typically, your windows have about 20 years of solid functional life. By this time, damage from storms, warping, shrinkage, or breaking will happen and be a factor in whether or not to replace or repair them. The expert team at homeandgardeningguide.com has researched and assembled the following information to help you determine if it’s time to repair or replace, the windows in your home. 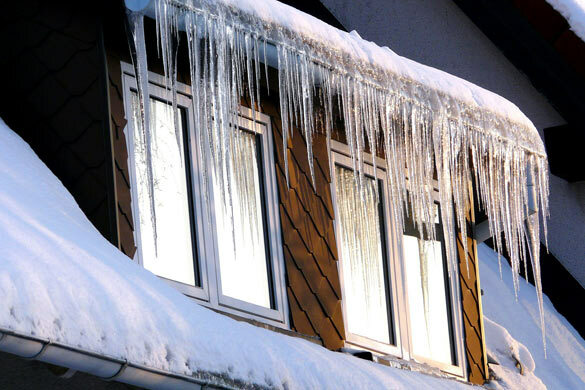 Weather – Severe weather conditions, earthquakes, and extreme temperature variations may take their toll on the structure of your windows. Overlooked Maintenance and Window Damage – For most people, the windows are simply there. It’s easy to overlook them, as we see right through them! 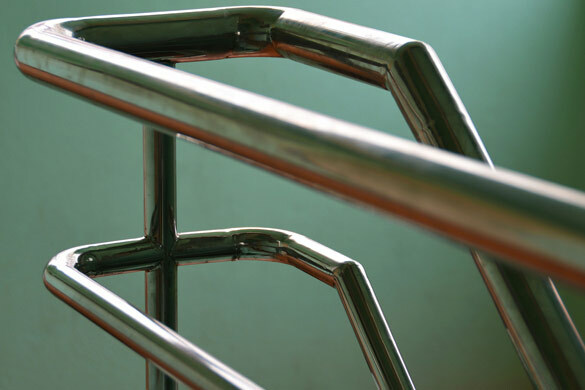 This inadvertent negligence may result in or cause you to overlook problems. Damaged windows, if not repaired, will rapidly decline and need to be replaced. • The glass is broken or shattered. • The caulking has weathered and separated leaving gaps. 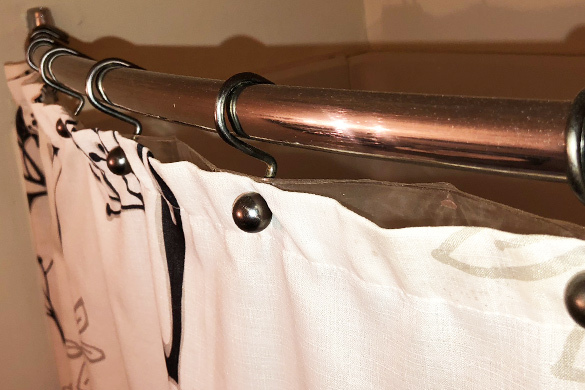 • The counterweights or spring loaded mechanisms stop working. • The plastic or rubber weather stripping hardens, cracks, or deteriorates. • The frame has cracked, warped, or deteriorated. • They have suffered severe damage in a weather event or natural disaster. • Window tracks are warped or damaged stopping the window from functioning. • The metal latches, cranks, and components have rusted or oxidized leaving the window inoperable. • They become loose or flimsy in the tracks as they age. • They no longer properly insulate your home from outside temperatures and weather. Once repaired or replaced, add the inspection of your windows to both cleaning projects and seasonal equipment and appliance inspections. This will help you to make certain that all moving parts are working properly, free from obstructions and lubricated where necessary. Proper care and maintenance will greatly extend the life and efficiency of your windows. In the south-central and southern regions, the weather is typically warmer throughout the year with more intense summers. When replacing or upgrading windows in these regions, the SHGC (solar heat gain coefficient) measures how much heat passes through a window. According to Energy Star, the country is divided into four zones (determined by climate). The zone you are in will determine the appropriate SHGC rating (measured between 0 and 1) for your windows. Use the climate zone finder on the Energy Star website to locate the zone you are in. Use the window selection tool from the “Efficient Windows Collaborative” to simulate energy costs/savings based on your location and the windows you are considering installing. A window’s U value (or U factor) measures its insulation. The lower the number, the higher the value and more efficient at insulating it is. In north and north-central regions, a higher U value is more important than the SHGC. These regions are cooler (especially in winter months) and require windows more effective at insulating. To determine the most appropriate U value for your windows by zone, use this chart. Will New Windows Pay For Themselves? YES, if your home currently has inappropriate windows for a region with extremely cold winters or blistering hot summers. YES, New windows that match the style and architecture of your home and are energy efficient can increase its overall value. 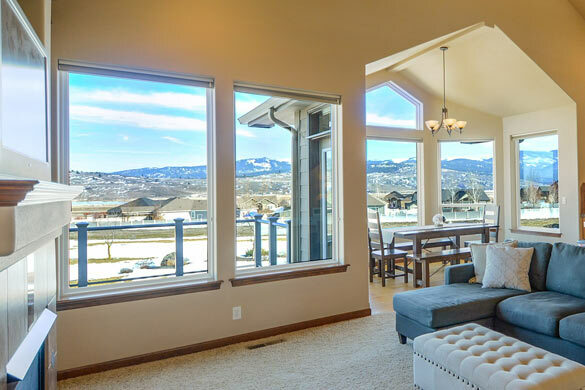 NO, if the windows do not match the style or architecture of your home, they can have detrimental consequences to its curb appeal and resale value. NO, in older and historic structures where you cannot match the style, repairing the existing windows may be the better option to preserve the home’s value. NO, in some older methods of construction, windows are often part of the structure’s support system. 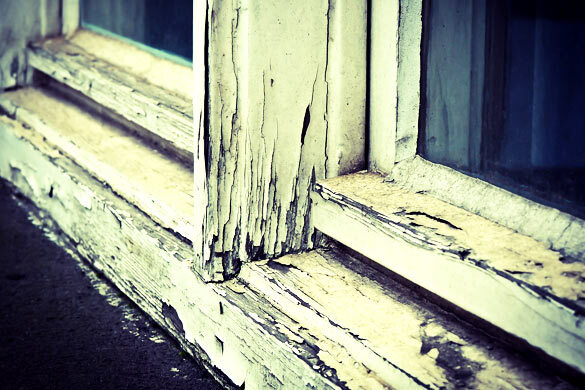 Replacing these windows may cause expensive or irreversible structural damage. Repairing windows in such homes may be the wiser alternative. Being the important architectural features they are, much consideration must be given before deciding to replace or repair your windows. Energy Savings – Upgrading to energy efficient windows can potentially be the greatest asset in lowering your energy bills. However, in regions with moderate temperatures, it could take decades to recuperate the costs of replacement. Replace or Repair – Unless the state of your windows and window frames has been compromised by weather events or severely deteriorated over time, repairing them may be more cost beneficial than full replacement. Market Value – When placing a home on the market, it is an advertising plus to boast new Energy Star energy efficient windows. As long as the windows fit the home’s architecture, this may work to significantly raise the home’s curb appeal and market value, giving the greatest return on investment. Visit homeandgardeningguide.com/improvement/windows/ for more windows articles, resources, DIY and how-to tips. 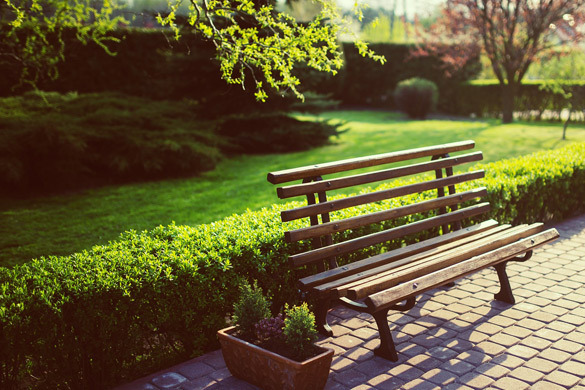 Your backyard is an important part of your home’s environment. Some well planned and functional landscaping has the potential to increase your property value while providing a year round special and joyful destination for your family and friends. With all of the potential backyard landscaping possibilities, this project will require some careful and well thought-out planning. You will need to take into consideration the way you want to use your outdoor living space, the architectural features of your home, and the natural layout of your backyard. The team at homeandgardeningguide.com has gathered the following ideas for backyard landscaping, as well as some design and planning tips. For some, a backyard patio is just a slab of concrete with no higher purpose. However, with a bit of creative landscaping and a plan, your patio can be transformed into a destination spot for the whole family. Planting Shrubs – Partially enclosing your patio can be accomplished by planting shrubs or bushes around its perimeter. As they grow and fill in the gaps, they can be shaped or draped with Christmas lights to create a fun or even romantic atmosphere. Flowers and Plants – For a more open feel to your patio, consider planting a flower garden around it. Trellises can be erected for climbing vines, while decorative planters can be placed or hung in the corners (for covered patios). NOTE: According to toddsmariettatreeservices.com, when considering what species to plant and where to plant it, be mindful that trees and some larger shrubs have invasive roots. If planted too close to your patio, they could potentially break, buckle, or crack it. Gravel or Stone Pathway – If your grill or fire pit are set away from the patio, create a gravel or stone pathway to them. Your backyard garden options are practically unlimited. Whether you choose flowers, spices, or fruits and vegetables, gardens create an engaging and useful space. Bordering Gardens – Gardens can be used to accentuate landscaped grass designs, as walkway borders, or along the fence-line encompassing the backyard. Planting gardens in this manner creates a sense of definition and gives the overall appearance of having depth. Raised Gardens – Another fantastic way to create a dynamic appearance in your backyard is to plant raised gardens. This is accomplished by building or placing “box containers” in rows, squares, rectangles, or along the natural features of the land. This is an ideal scenario for planting an organic garden. With organic gardening, one of the objectives is to have control over what goes into the soil. Having raised gardens naturally isolates the soil, giving you complete control. 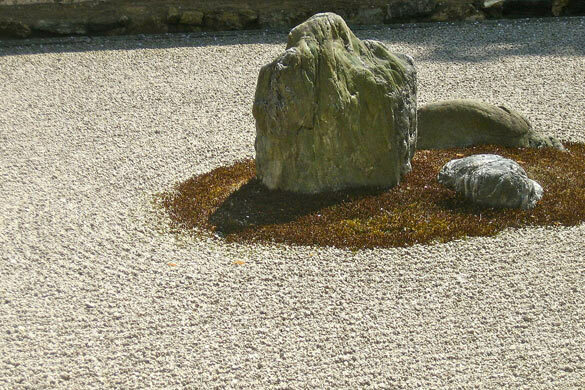 Zen Garden – A zen garden is intended to be a place of peace and quiet – an area for meditation and self awareness. These gardens can take on a variety of shapes, colors and designs. Commonly seen are those with a large flat area of white sand. Generally, in the sand there will be periodic large stones or islands of well pruned vegetation. Then in the sand, around the vegetation and to the border, a rake is used to create flowing designs. 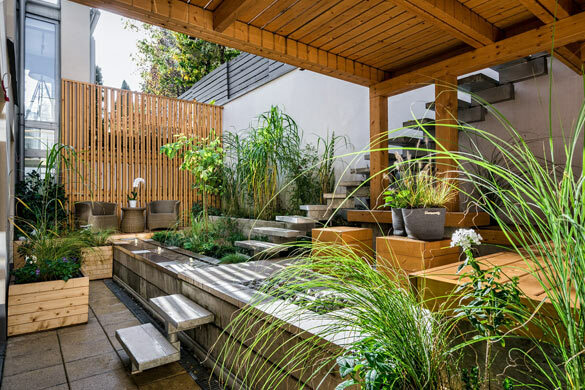 Water features such as fountains, small streams, or waterfalls are often added to zen gardens to enhance their calming affects and peaceful vibrations. Depending on the overall space and hardscaping in your backyard, trees can add shelter, shade, beauty, and grace all at once. It is important to know which species of tree you are planting in which location. Roots – Many tree species have invasive roots that will grow far from the tree in search of moisture; this can take them under pathways, porches, patios, and even a home’s foundation. As the roots age, they thicken and begin to apply consistently growing pressure until they either die or break through whatever they are under. Height – There is also the question of height. Overstory trees are those that reach 60ft and above, while understory trees will typically reach only 12-15ft in height. The use of both in landscaping is common practice and very rewarding as they reach maturity. Deciduous or Evergreen – One very important consideration to make (when it comes to trees) is whether or not you want to rake leaves in the fall. Evergreen trees are (as the name implies) green all year long. 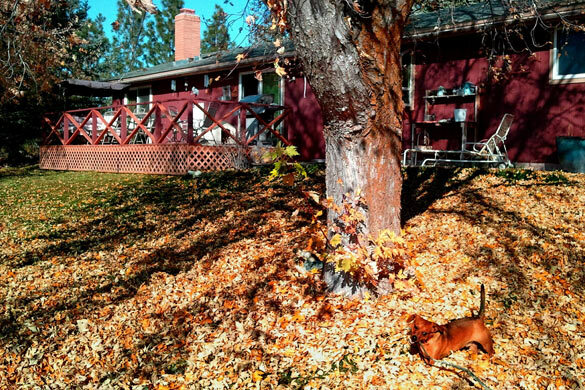 They will lose small portions of their foliage throughout the seasons, but nothing requiring a rake and leaf blower. Deciduous trees will typically put on a color show as colder temperatures arrive, and will lose all of their foliage as the tree enters a state of dormancy through the winter months. It could be the middle of summer on an 85 degree night and for some reason, people will still flock to a fire pit. 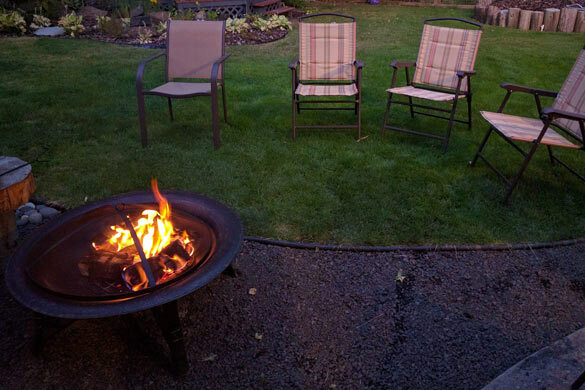 If having a fire pit in your backyard will provide a desired charm, take the following into consideration. Location – A fire pit should not be located within 10 feet of any structure or flammable surface. Your trees are another concern, having a lit fire pit under the canopy of a tree is never a good idea. Ideally, a fire pit should be positioned over gravel, brick, concrete, or other non-flammable surface. Surrounding the fire pit with non-flammable, weatherproof furniture is a way to create a “cozy” gathering spot for late night conversations, meals, or a place to congregate during half-time of the game! Weather – Fire pits should not be lit under windy or adverse weather conditions. The wind could carry hot embers to surrounding structures potentially resulting in a fire. 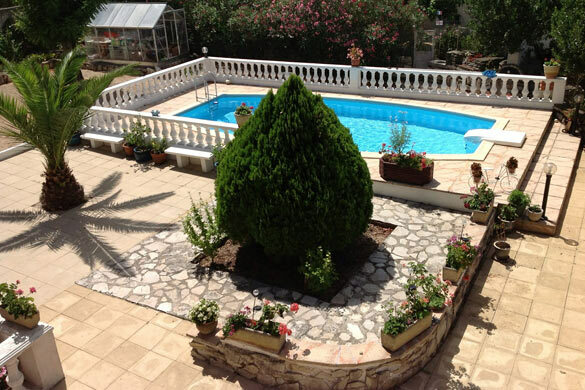 Pools come in all shapes and sizes, above and below ground. With the installation of a pool, you must also account for its plumbing, the pump, and filtration unit locations. Installing a pool creates opportunities for both landscaping and hardscaping. Choosing evergreen trees over deciduous ones will save both time and effort in the fall. Adding more hardscaping around the pool’s perimeter will also help in keeping it free of debris. 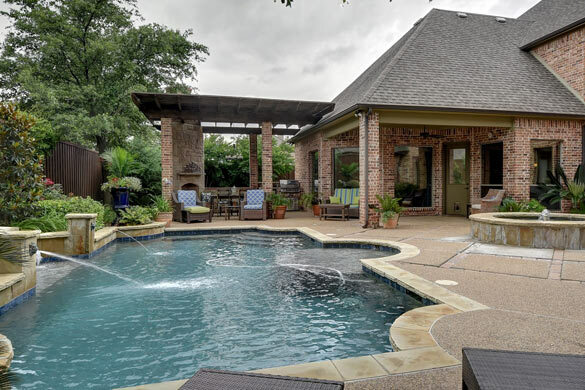 As with most backyard pools, they are typically centered and the rest of the landscape is designed around it. As pool installations can be a major expense, homeowners will often landscape their backyards placing trees, shrubs, gardens, and other permanent fixtures around the perimeter, allowing for the installation of a pool at a later date. Design – The first step to successfully landscaping your backyard is to create a design. You can accomplish this in one of several ways. Hire a professional landscape company to do it. You can get a ruler, pencil, and paper to do it yourself. 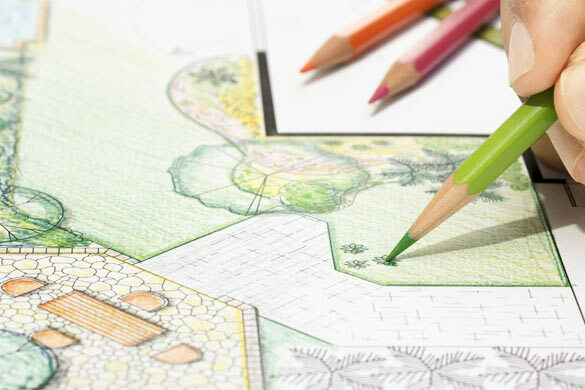 Download one of several free landscape design programs (some are drag-and-drop). Total area of the backyard. Location and occupied space of current vegetation. Location and dimensions of retainer walls and other structures. Location of underground utilities and their depth. Dimensions of structures to be added. Space required for new trees at their maturity. As you build your ideal landscape design, know what your needs are and plan the area accordingly. Sketch as you go and try to visualize how the completed job will look. Some people seek symmetry while others design to draw attention either to or from aspects of the landscape. However you intend to design yours, make certain that your proportions are right and that you account for the growth of your trees, bushes, and shrubs. Placing a request for the utilities company to flag underground utilities. Acquiring a tree removal permit if any trees are to be removed. Acquire land disturbance permits if your municipality requires them for private property. Target dates for any tree removal or activity requiring 3rd party activity. Purchase and delivery dates of new landscape components. Target dates for each phase of the new landscape installation. This whole process can seem daunting and there are landscape companies that can take care of this process from concept to completion. However, if taken in steps, a DIY homeowner can complete their backyard and create a phenomenal aesthetic and cozy experience. Visit www.homeandgardeningguide.com/gardening-landscaping/ideas/ for more lawn care articles, resources, how-to tips, and DIY ideas. Moving to a new home is a process that can be handled in simple steps. 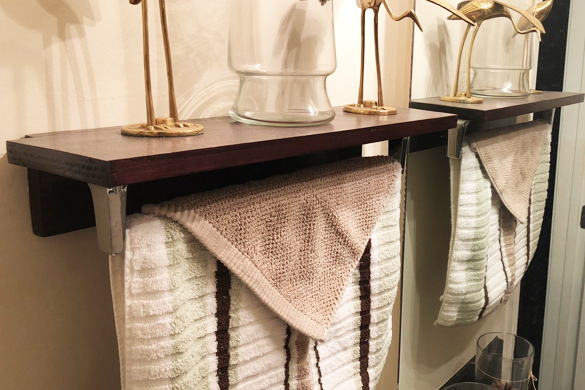 Depending on how much of the work you want to do, and how much you are willing to pay to have the work done will determine the pace and ease of this transition. Once you have established a move out date and secured the lease, rental agreement, or closed the purchase of a new home, it’s time to get moving. This article will address the making of a timeline, who to contact, a moving checklist, and what to do after the move is complete. homeandgardeningguide.com crafted this checklist to ease your worries and provide a guide, take advantage of the plan. To set up a moving timeline, you must have a target date to deliver your current home. This date should slightly overlap the move in date to your new home. The following is an adaptable timeline for those doing the majority of the work themselves. Begin packing all non-essential items from the kitchen, bathrooms, spare room/den, and the garage or utility/storage room. 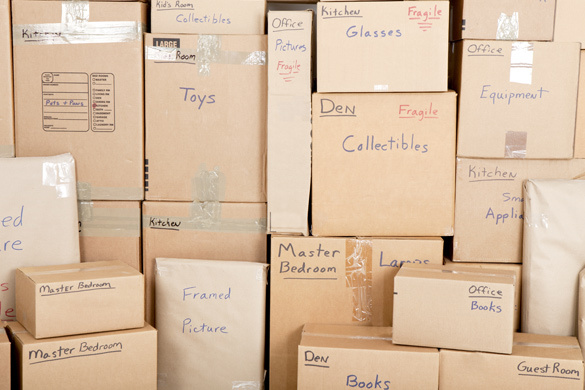 Label your boxes as you pack them, this will save a lot of headaches with the move in process. Remove all shelves, paintings, and wall mounts. Pack them up or wrap them to protect them during transit. Clear out and dismantle the furniture (cabinets, tables, extra bed(s), etc.) that are not needed for day to day living. Use your living room as a staging area to facilitate the move out. NOTE: If you are selling your home, leaving the home in perfect “Move In” condition is ideal and should be well defined in the closing documents. Perform a walk through with property management or real estate agent at the new location. Once satisfied with the new property, set a closing or signing and move-in date. 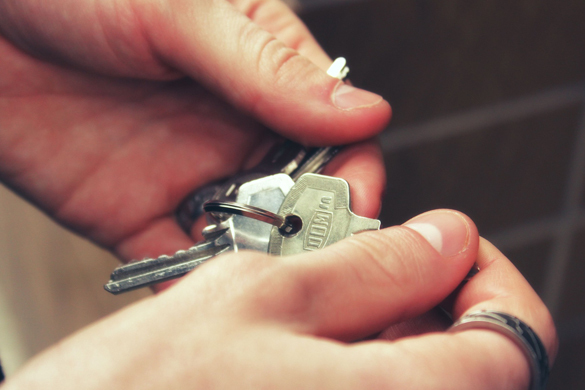 Only begin the changing of address process when you possess the keys to the new property. Fill out an online post office change of address form or visit a branch to pick up a hardcopy. Reserve a moving truck / van and confirm or hire the movers. Begin packing up the bedroom(s). 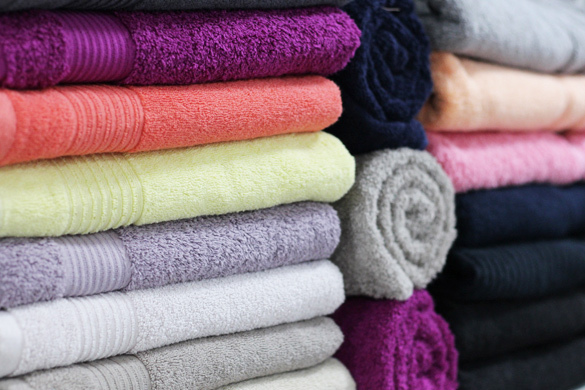 Room by room, pack everything but the bare essentials for personal hygiene, clothes, and food. Start scheduling utility and service installations for the day of the move, the day after, or the next opportunity they are available to perform the service. Schedule a walk through with property management for the move out date. NOTE: In order to receive a deposit refund, the property must be delivered in excellent condition. Consult the your property management for details and any further responsibilities regarding the deposit refund policy. Pack the rest of your belongings (by this time there should be very little). Remember where you store these boxes, they are the essentials and will contain the day-to-day products needed upon arrival at your new home. If possible, start making trips to get the bulk of the move done. Call, email, or check online to confirm that the utilities will be transferred on time. By now, only cleaning equipment and supplies should be at the old address. Accompany the property management representative during the walk through. Make any necessary corrections and turn in the keys. Who Do I Need to Inform When Moving to a New Home? Changing residency is also making sure everyone knows that you’ve moved! The most important change of address notification is with the US Postal Service. As mentioned above, this should be arranged the week prior to moving in order to avoid interruption of your mail delivery. NOTE: With the exception of your employer, most of the above can be done online. Just as you left your previous residence, the process for moving in is very similar. Before signing the lease, agreement, or contract, walk the new property with the property management or real estate agent. 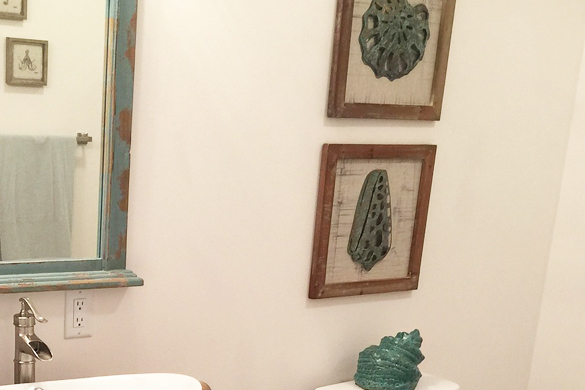 Open all faucets and flush the toilet(s) to ensure the water is running and the drains are functioning properly. 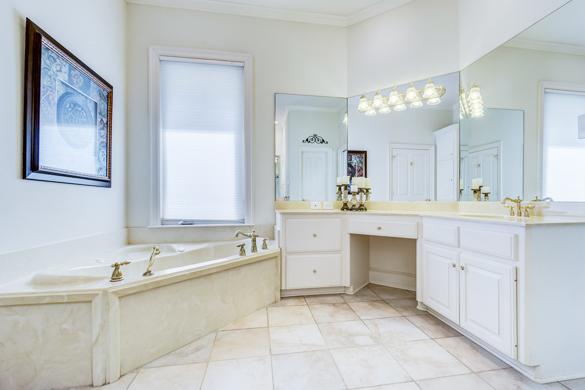 Note any defects or irregularities in the flooring, walls, cabinets, baseboards, bathtub(s), etc. Request the seller, property management, or maintenance correct any outstanding issues. Once satisfied, sign the lease, agreement, or contract and take possession of the keys. 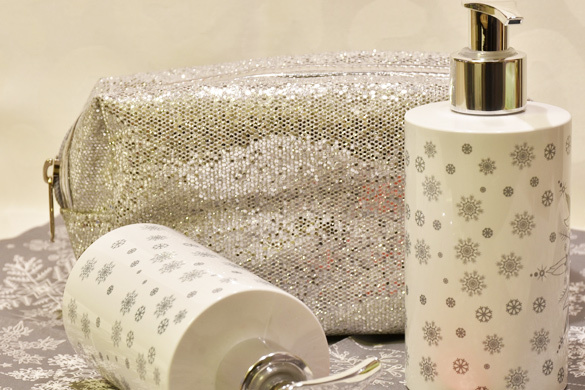 Clean and disinfect all areas before bringing in your possessions. Stage furniture in the space where it will be reassembled. 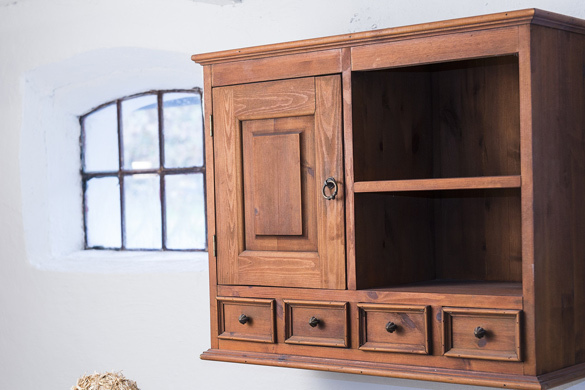 Get dressers and cabinets in their respective locations. Take the time to assemble and make your bed(s), you will eventually need to rest. Don’t leave this for later. If you took the time to label your boxes as you were packing to move out, you will know exactly where each box goes as you move in. The last boxes you packed should contain the “priority” day-to-day necessities and should be opened first. NOTE: Make yourself or an adult available at the scheduled times for utility and service installations. Missing these appointments will cause undue stress and may end up costing extra service fees and/or delays. What Do I Do After I Move? Once you have moved, take the time to review your checklist. Make sure that you have notified everyone that you needed to. Watch the mail, a change of address confirmation will be sent to the new address from the US Postal Service. This document will serve as proof of address until your regular bills and identification have switched over. Without a plan or system, moving can be a headache. However, you had a checklist, and now that you have everything checked off, unpack, settle in, and enjoy your new home! Visit homeandgardeningguide.com/improvement/moving/ for more moving articles, resources and how-to tips.